Well done to Team Air ( KS1) and Team Fire ( KS2) for gaining 1st position overall. Everybody had a wonderful day! 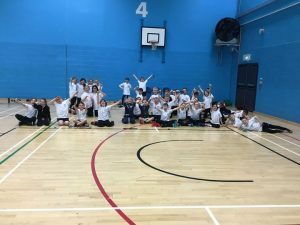 Congratulations to the Athletics team who qualified for the area Plate final of the annual Sportshall Athletics tournament just before the half term break. Please read the information below which gives details of our Sports premium grant and how we allocate the funding, PE policies and much more.